The city of Minneapolis and Target Center have been announced as a finalist for one of the 2021-24 NCAA Women’s Basketball Final Fours. Minneapolis was identified as one of eight cities under consideration for the next four-year period, announced today by the NCAA Division I Women’s Basketball Committee. Next steps include finalist cities submitting bids by April 27, 2018; NCAA committee and staff conducting site visits to cities in July and August, 2018; finalist cities having a final in-person presentation to members of the committee the week of Sept. 17-21, 2018; formal recommendation and final approval of sites by the Division I Women’s Basketball Oversight Committee and announcement of Women’s Final Four hosts for the years 2021-24 taking place in early Oct. 2018. Along with Minneapolis, Cleveland, Dallas, Houston, Indianapolis, Kansas City, Missouri, Nashville and San Antonio are also under consideration. 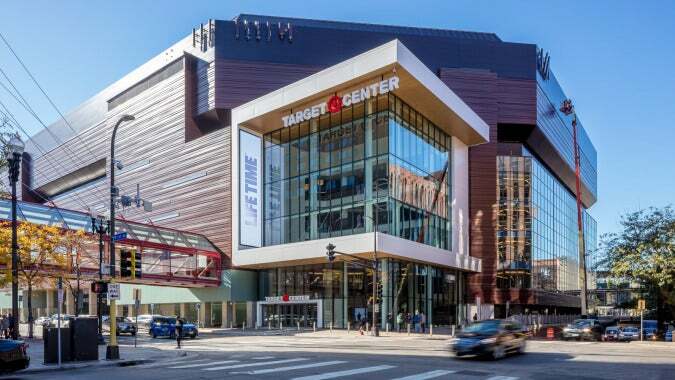 If Minneapolis is awarded a Women’s Basketball Final Four, it would mark the second time the city has hosted the event, the first coming in 1995, also at Target Center. The NCAA Women’s Final Four would be the 10th NCAA event held in the Twin Cities within the upcoming years. In 2018 alone, the University of Minnesota, Sports Minneapolis and Visit St. Paul will partner to host five major NCAA events, while the 2019 NCAA Men’s Basketball Final Four is at U.S. Bank Stadium.